This easy-to-read, Q&A resource includes 300+ answers to help you custom design an LLC or LLP, weigh the pros and cons of converting your business to an LLC or LLP, capitalize on the advantages of converting to an LLC or LLP, ensure IRS compliance and avoid "double taxation" of revenues; also includes a state-by-state listing of statutory provisions regarding structure and organization; registration procedures and filing fees; a comparison chart of the LLC, LLP, regular and S corporation, limited partnership, and general partnership; with model operating agreements. By Alson R. Martin, Esq. 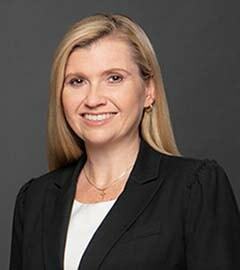 For most companies, doing business as a limited liability company or partnership offers significant benefits. 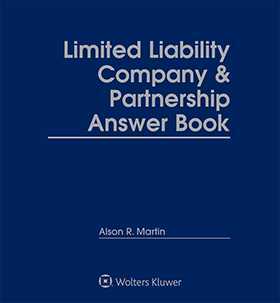 Limited Liability Company & Partnership Answer Book's easy-to-read Q&A format makes clear and accessible both the legal rules and important business decisions regarding LLCs and LLPs. Plus, this practical handbook contains a state-by-state listing of statutory provisions regarding structure and organization; registration procedures and filing fees; a comparison chart of the LLC, LLP, regular and S corporation, limited partnership, and general partnership; and model operating agreements.